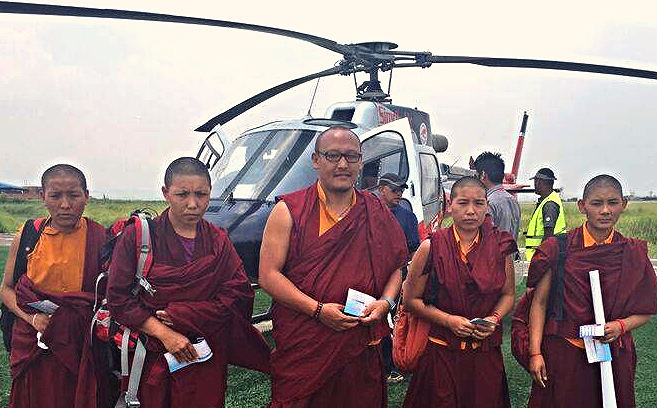 Tsoknyi Rinpoche would like to let his donors and students everywhere know what has happened with the earthquake relief fundraising effort and what is happening with construction at Tsoknyi Gechak Ling. We are very grateful for the generous donations from all over the world toward Tsoknyi Rinpoche's fundraising efforts for earthquake relief. Tsoknyi Rinpoche feels that Nepal is transitioning from devastation to rebuilding and that the desire of the resilient Nepali people is to get back to normal. 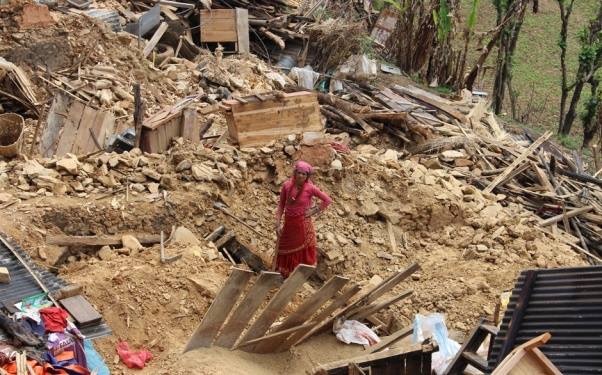 Rinpoche's strategy has been to pinpoint rebuilding needs in specific villages in Nepal where he knows 100% of the funds will be spent wisely and for the purpose intended. Tsoknyi Rinpoche has given $20,000 each to four villages in the Nubri region - one of the hardest hit areas, including his boyhood village of Samagaun. On May 21st, 2015, a delegation from Tsoknyi Gechak Ling traveled to the Nubri area and distributed these funds, as well as tents, tarpaulins, and blankets, directly to the villagers. Below are some pictures from their journey. 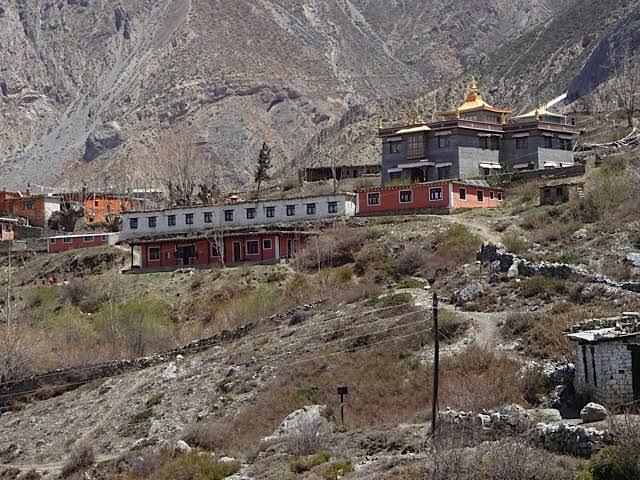 In a remote area close to the Nepal/Tibet border, near the village Tatopani, lies a nunnery in the lineage of Sengdrak Rinpoche. Since Sengdrak Rinpoche's passing several years ago, over 200 nuns there have continued the Drukpa Kaygu tradition on their own. 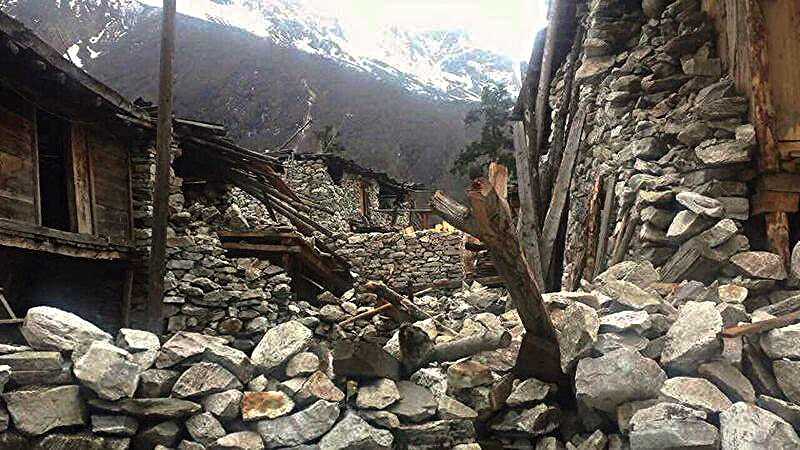 All of their buildings and homes were destroyed by the earthquakes. 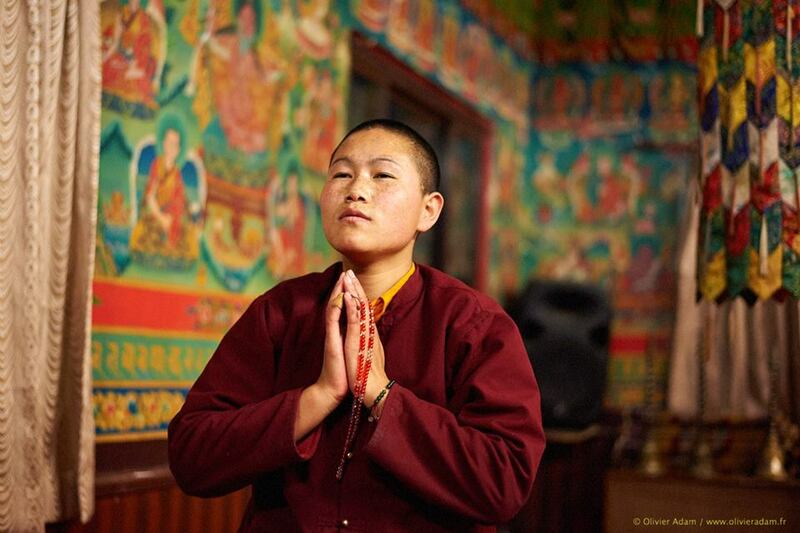 Initially, Tsoknyi Rinpoche gave $10,000 in emergency funds and will be giving an additional $90,000 to assist in rebuilding this precious nunnery. 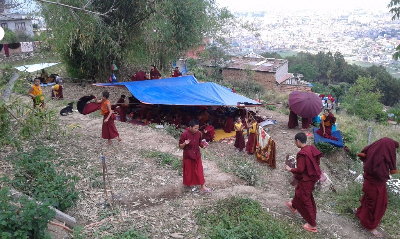 $40,000 in food, medical supplies, tents and tarpaulins have been distributed by the Nuns of Tsoknyi Gechak Ling to the people in Chobar and surrounding villages. 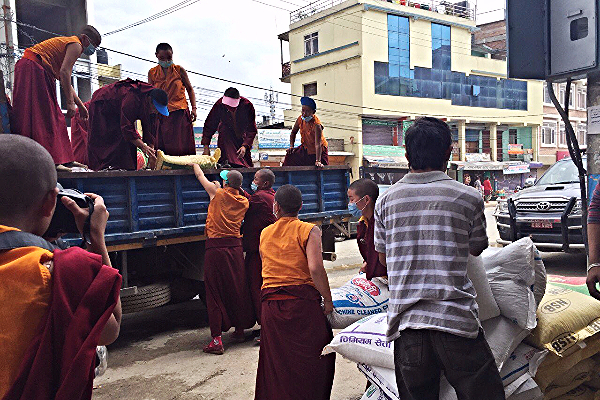 The Tsoknyi Nepal Nuns spent many days assisting the villagers to clear away the rubble in those communities. 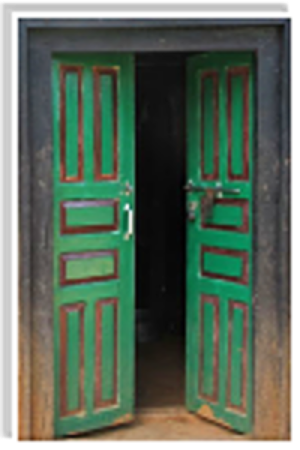 On June 27, 2015, significant distributions were made toward the rebuilding of certified structures in Chobar. 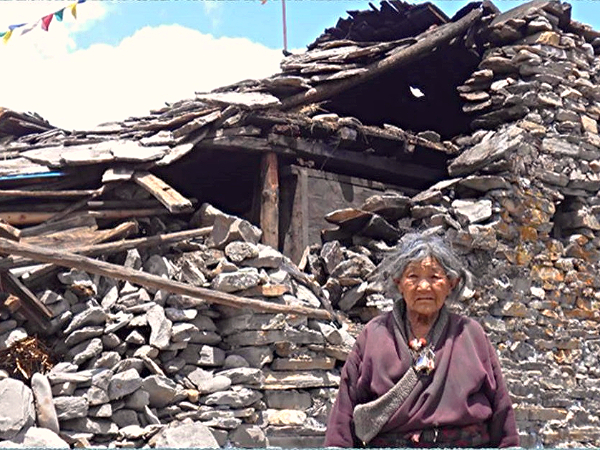 There is still a need to raise funds to help repair the older buildings at Tsoknyi Gargon Ling and Tsoknyi Tondrol Ling which were damaged in the earthquakes. The nuns' quarters at Tsoknyi Gargon Ling (the white buildings in the foreground shown below) were damaged beyond repair. 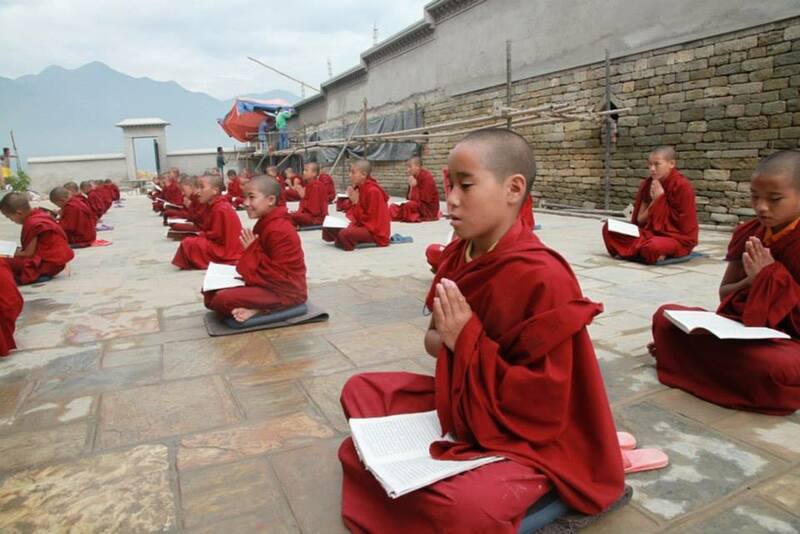 Rinpoche would like to slowly shift our focus back toward our primary mission - which is to provide a home and educational opportunities for the Tsoknyi Lineage Nuns of Nepal. 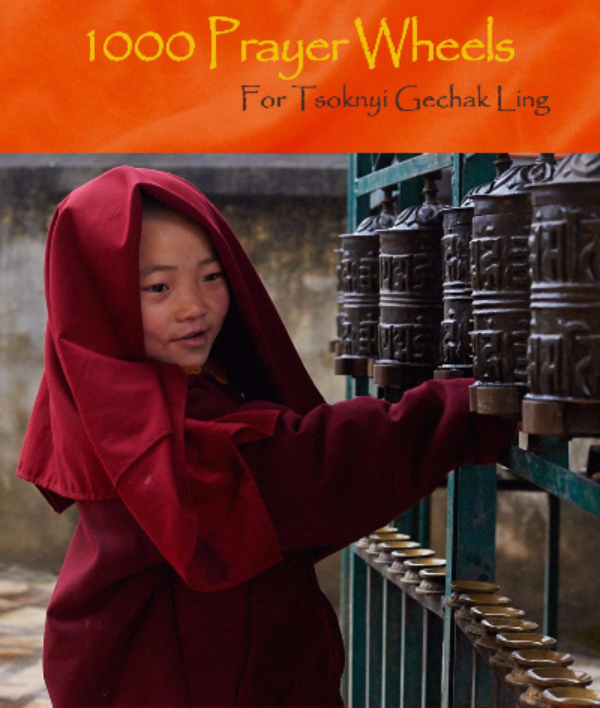 Our new fundraising campaign, 1,000 Prayer Wheels for Tsoknyi Gechak Ling, launched on March 20th, just one month before the first earthquake struck. 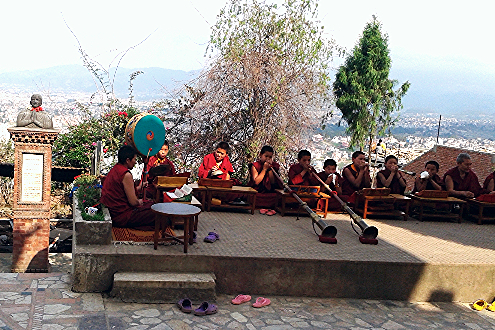 The initial response was wonderful, with prayer wheel sponsorships coming in from all over the world. 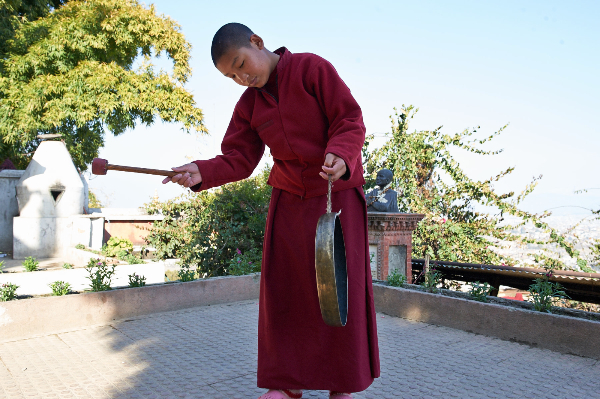 Sponsorships and donations will finish the construction of Tsoknyi Gechak Ling. 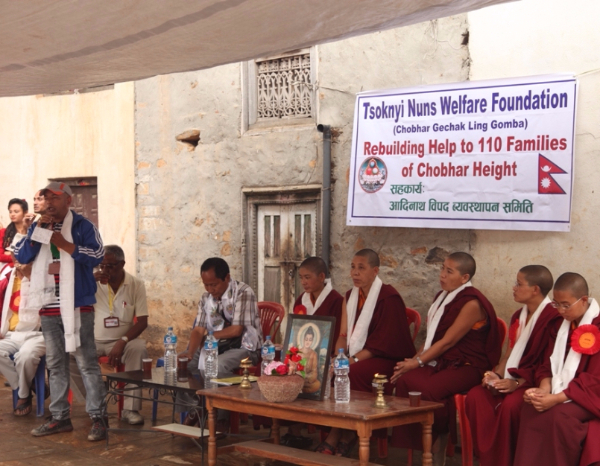 We are slowly getting back to our primary responsibility which is the welfare of the Tsoknyi Nepal Nuns. 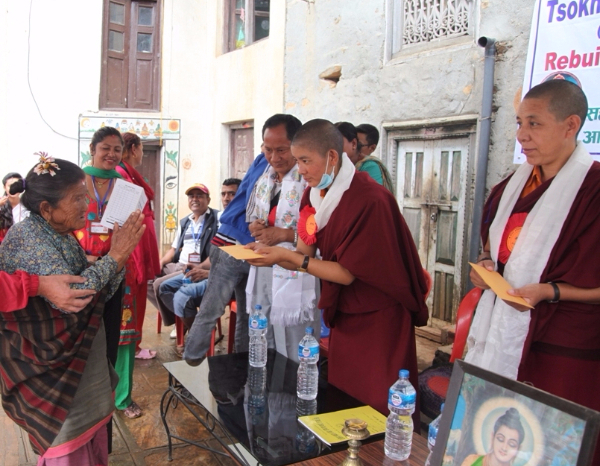 Tsoknyi Rinpoche supports over 200 nuns located in three different nunneries in Nepal. 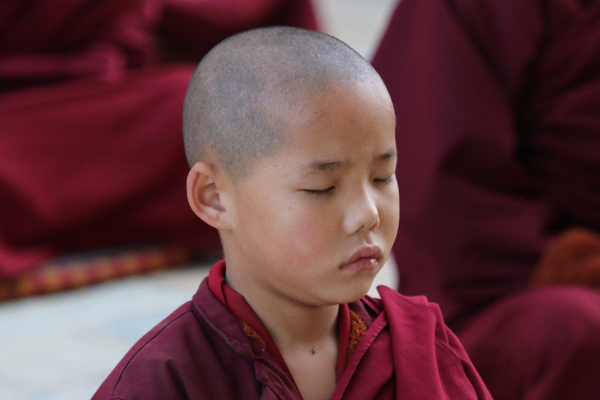 Many of Tsoknyi Rinpoche's students and donors around the world sponsor this effort to provide food, clothing, shelter, medical needs, education, and practice opportunities. 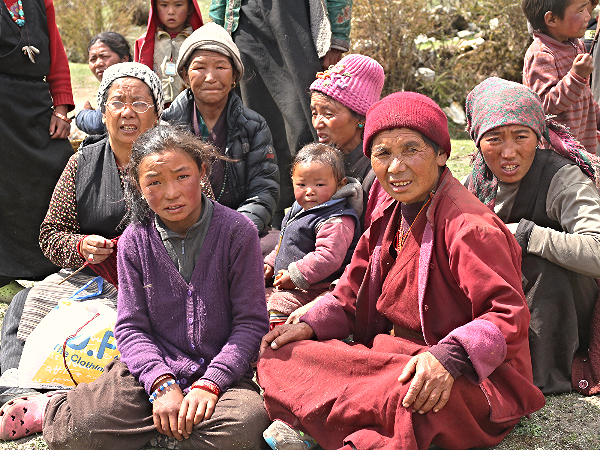 Throughout the entire month of earthquakes and aftershocks, the Nuns of Tsoknyi Gechak Ling lived outside under tarps and tents. Even under these adverse circumstances they continued to do their practice and daily pujas. And the young nuns continued with their education. As of the beginning of June, all the nuns are back inside, safe and sound.